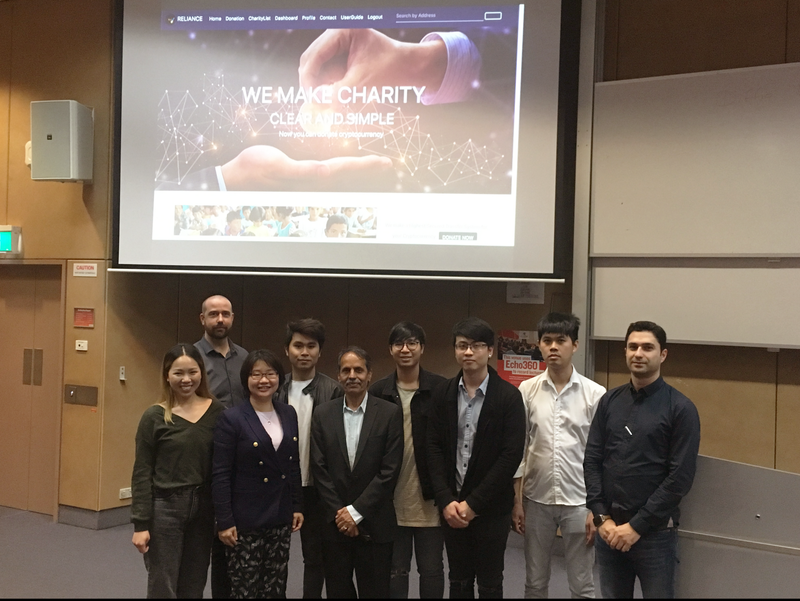 In addition to working directly with charities and NGOs to explore ways to utilize blockchain technology for their charitable pursuits, Blockchain Philanthropy Foundation (BPF) is also dedicated to fostering valuable partnerships with respected institutions like La Trobe University in our journey to promote general awareness of blockchain technology. 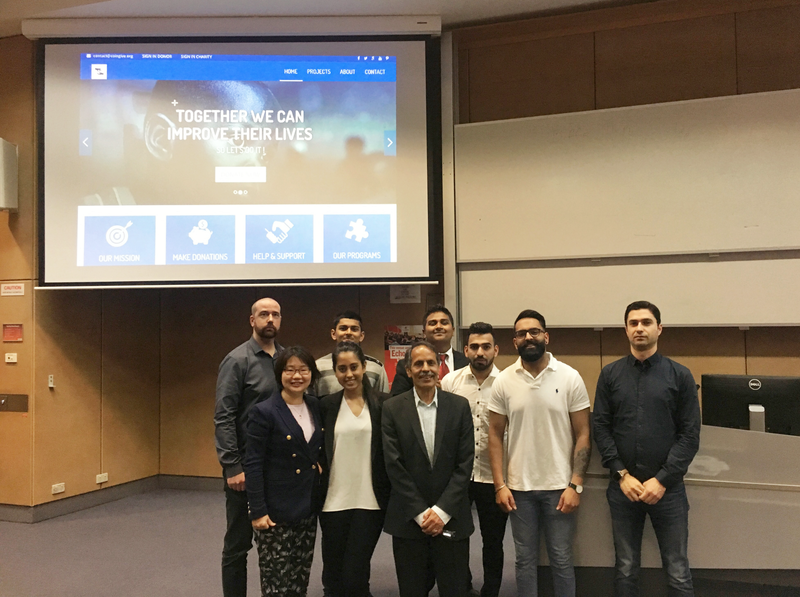 As part of our work to increase student interest in blockchain technology and its potentials for social impact, the BPF technology team has been working closely with La Trobe University students in an industry project with the goal of creating a cryptocurrency donation platform. 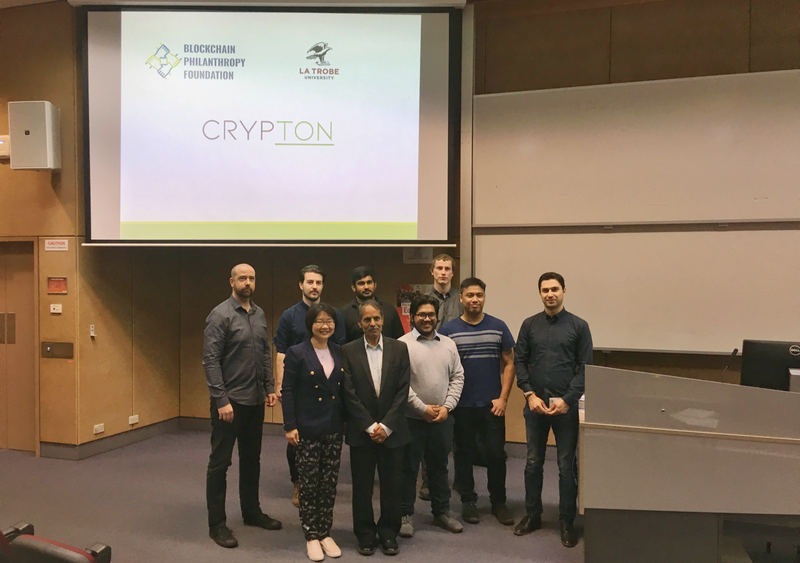 This initiative has been led in partnership between Chris Zhong, BPF President, Aaron Boyd, BPF Technical Lead and experienced blockchain engineer and La Trobe University faculty. The main focus of this project was not only to explore new ideas that harness the power of Blockchain for social good, but also to involve the next generation of technologists to discover the possibilities of this technology. We employed 3 teams of students to come up with a platform where potential benefactors can learn about featured charities and campaigns and easily make cryptocurrency donations, creating a direct connection between cryptocurrency benefactors and charities in need. After a year-long journey under the guidance of Dr. Torab Torabi (La Trobe University), Chris, Aaron and the wider BPF team, we were excited to see the results of the students’ hard work and collaboration. Here are the 3 teams and what they presented. Despite running into issues that forced the team to start from scratch just weeks before the final presentation, Team Crypton showed true resilience by learning from their first iteration and creating a new platform that possessed simplicity as well as flexibility. Initially creating a platform that could really only encompass one charity due to using existing source codes, Crypton adapted quickly and changed the way they structured their website, resulting in an end-product that can accommodate the addition of new charities, donor accounts, and cryptocurrencies. Additionally, they took feedback from Aaron and decided to add in QR codes for transactions. This not only heightened user experience but also provided privacy for its users, something that is important to most cryptocurrency holders. 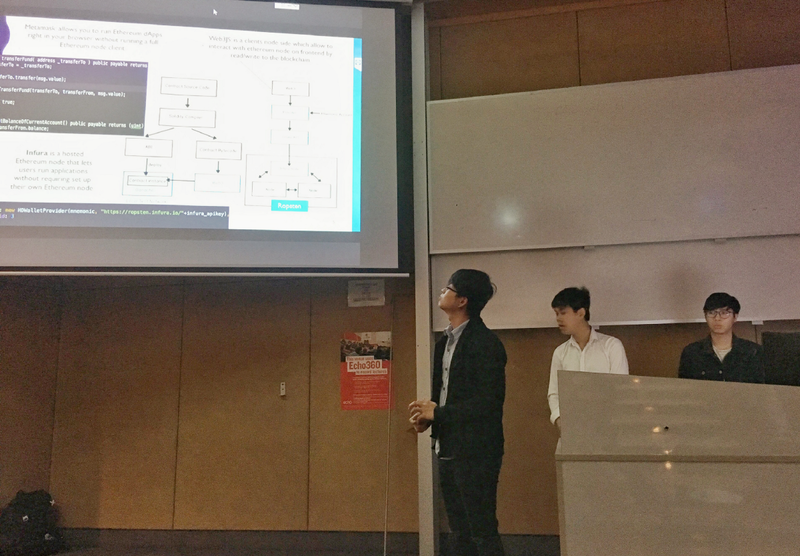 While the end product was quite simple due to time constraints, the students were able to learn from their blindspots and ultimately pull together a viable solution for cryptocurrency donations. The second team provided a solution that focused on user experience, presenting a platform called CoinGive that featured an easy-to-use website, in-built security and transparent donation tracking capabilities. 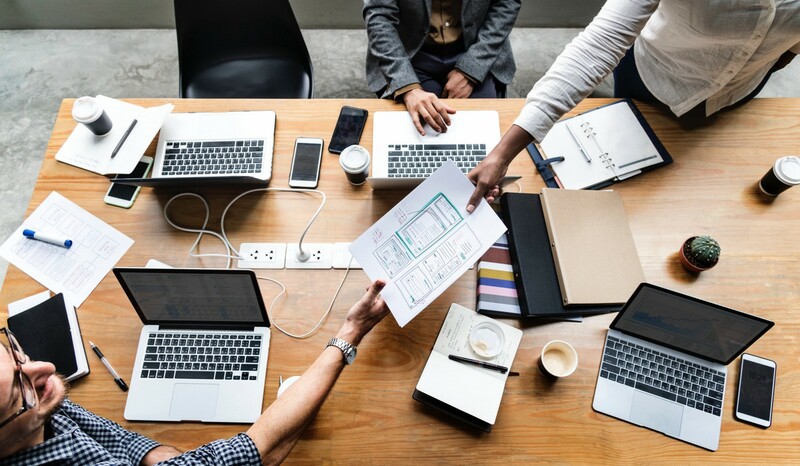 They tested the platform on their campus and made changes according to the feedback they received to ensure that they can maximize user satisfaction with their end product. 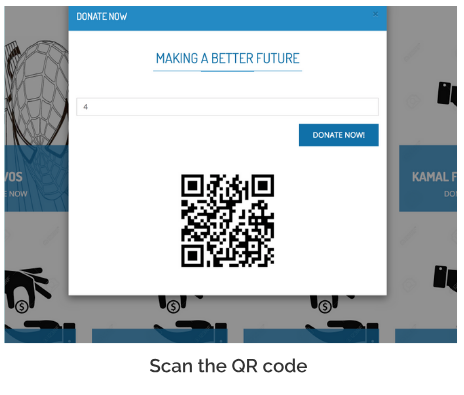 Screenshot of CoinGive donation platform using QR code. While cryptocurrency was a very new concept to this team, they were excited to learn more about this emerging market and how to accommodate cryptocurrency users specifically to encourage charitable donations. Team Reliance came to this project with a blank slate, having no prior knowledge of the cryptocurrency space or real experience building a website. But they ended the project being interested in further exploring blockchain technology and even incorporated blockchain technology into their platform. With little to no prior knowledge of blockchain technology and cryptocurrencies, these students have all come a long way in learning about the technology and finding ways to use it for social impact. BPF is looking forward to further working with university students on expanding their knowledge of Blockchain and how it can be employed to solve worldwide problems. The students will be demonstrating the cryptocurrency donation platform on 28th Nov 2018 along with all other industry projects at La Trobe University.